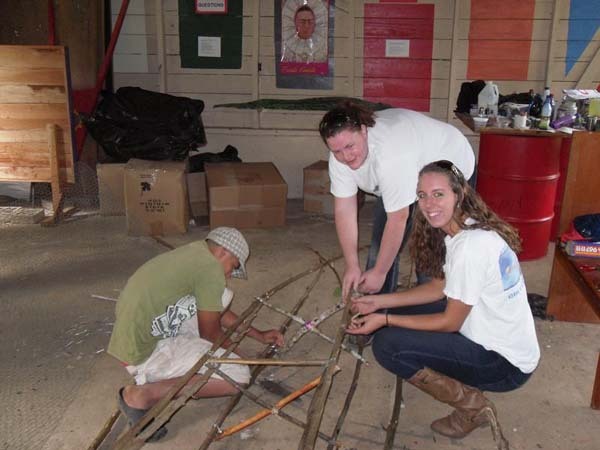 I volunteered in Cristo Rey, Belize in December, 2010 for Pro World Service Corps. I was a community development volunteer. My assignment was to lead a student group in creating an art project for Belize’s Festival of Lights, with the proceeds going towards the cost of the children’s education. 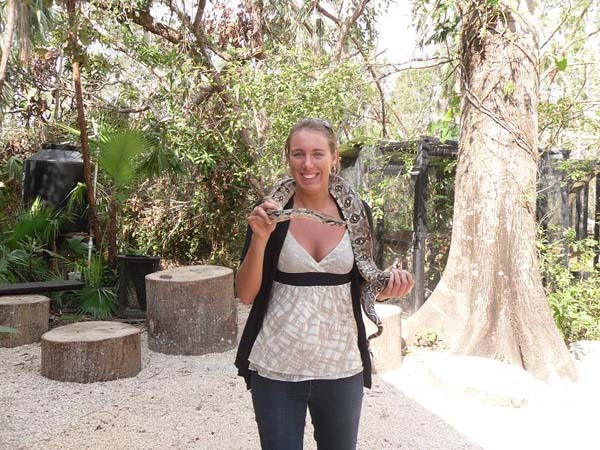 Firstly, a study abroad term in Australia had made me fall in love with traveling. When I returned home from that trip, I immediately started saving money so that I could travel again. The second reason was my love for teaching children. Children in Belize have to pay for education above the age of twelve. Not all children can afford to stay in school. I wanted to give Belizean children the opportunity to continue their education and work with them on this community development project. I learned very quickly in Belize that Belizean children are not encouraged to express themselves or give their opinions as much as American children. Generally children are discouraged from speaking openly and making suggestions. Belizean children demonstrate this trait in the classroom as well, which is very different from American children and schools. How did you communicate across the cultural divide? Well, I knew the local language because the official language of Belize is English. Most people find this surprising because the official language of the other Central American countries is Spanish. However, many Belizeans speak Spanish and a Mayan language. My host family spoke English, Spanish and Quechua. My host family was great. They were very welcoming and included me in their daily activities, such as enjoying meals together and watching television. My host father worked a lot, but my host mother was a stay-at-home mom so I was fortunate enough to spend time with her, learning about her life and Belizean culture. Both of my host parents were very hospitable. Even my host aunt welcomed me into the family by taking me to Guatemala for a day so that I could explore another region of Central America. My return to America was full of mixed emotions. On the one hand, I was looking forward to seeing my family and friends again; but I was also sad to say goodbye to my host family in Belize. 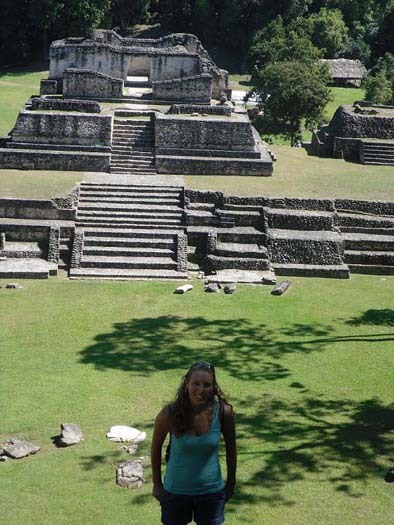 I knew I would miss the children I’d worked with, and my many Belizean excursions; especially the Mayan ruins. But I’ve been abroad several times since Belize and will continue to travel as much as possible. Keep an open mind and to try everything at least once, whether it’s a new food, dance or excursion. I missed my friends more than anything while I was abroad. However, I brought pictures of them and talked to them often on Facebook. Since returning from Belize, I have moved to the Republic of Georgia (a little country next to Russia) and started teaching English in an elementary school. This well help my teaching career significantly because it’s giving me more teaching experience and taught me how to interact with students from another different cultural background. It’s clear from Lindsay’s response that she understands the importance of having a variety of international teaching experiences. She wisely chose to undertake a teaching term in a completely different region of the world (Eastern Europe), in order to challenge herself and build communication skills. We’d recommend that Lindsay continue on this path by teaching English in Asia or Africa after her contract in Georgia comes to an end. Lindsay might also consider volunteering as an English teacher with an NGO in a developing nation. Working with a small NGO might offer her the opportunity to expand her position by taking on increased responsibility. Whatever her next step, we’d suggest that she stay in her future host country for a minimum of six months to maximize her cultural immersion. Marketing Your International Experience to Employers is a valuable article for anyone returning home after an extended period abroad. It will help you assess and discuss the skills you built in a way that future employers will appreciate. All NGOs is an extensive list of NGOs with international mandates. Filter for US NGOs to limit your search. Consider using this list to research potential teaching or field positions abroad.